JP Morgan takes a massive position in physical silver… Norwegian and Swiss central banks accumulate shares of silver stocks… Silver trades at a historic discount, paving the way for huge buying opportunities in carefully selected silver stocks… It all adds up to the best time ever to make a move, which is exactly what I’m doing. I’ve made millions through core investments in mining stocks, and today you’ll get a sneak peek into my next acquisition – my next call that will bring massive returns. I’ve made calls before that earned 2x, 5x, and 10x my investment, and I’m letting you know right now that this is no exception. It’s not often that you’ll hear me pound the table for precious metals stocks as loudly as I’m doing it today. And I’m not alone in my bullishness on commodities and precious metals in particular. Goldman Sachs, for instance, is now very strongly bullish, and they’re 100% justified in their overweight precious metals recommendation. The once-mighty U.S. dollar will see further weakness in 2018 – I have no doubt about that – and more stable demand, combined with policy easing from China, will provide further support for global demand in precious metals in the coming weeks and months. Goldman Sachs has also noted that trade tensions have put pressure on precious metals prices, which they now view as bullish because these trade fears have already been priced in. I couldn’t agree more: as a contrarian investor, I buy when there’s fear and sell when investors get greedy, and silver is now trading at a discount due to overstated fears that have already been factored into the price. Silver stocks are poised for a breakout that will take the investing universe by surprise – mark this prediction because I am supremely confident and that’s exactly why I’m taking a position with my own capital. There’s no doubt that demand for the white metal is poised to move higher very soon. Along with its uses in jewelry and silverware, silver is a key component of many solar panels, consumer electronics, semiconductors, electric vehicles, and much more. 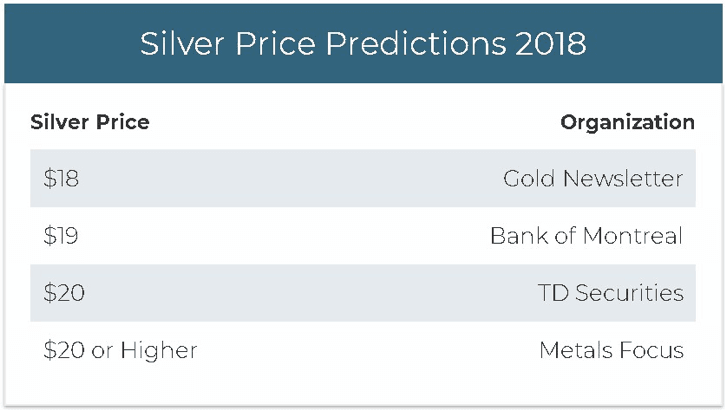 Johann Wiebe, lead analyst for Thomson Reuters’ GFMS, is predictingthat industrial demand for silver will increase throughout 2018; analysts across the board are shouting from the rooftops that you won’t find a better time than now to take a position. 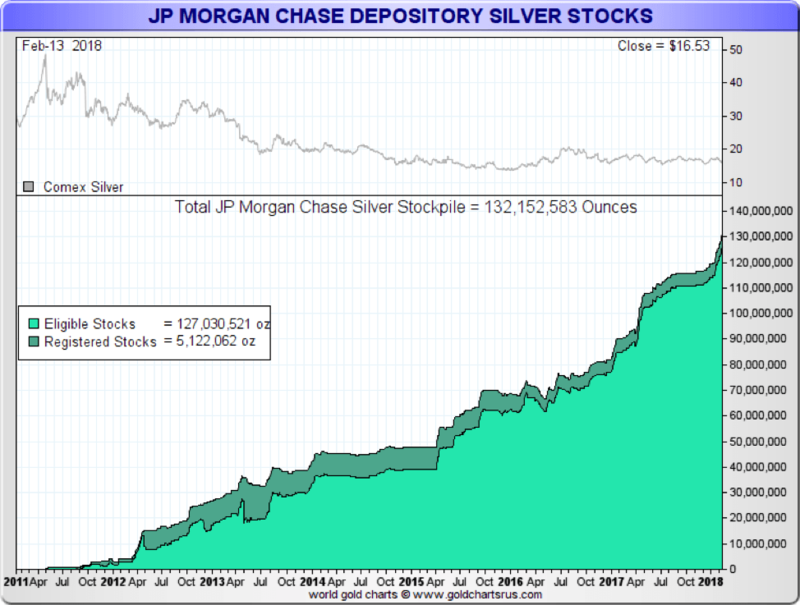 Millions and millions of ounces of silver are being stockpiled by JP Morgan and other big banks and by governments around the world. The stars are aligned for precious metals, and especially silver stocks, to make a big move – but I’m a choosy investor, and mining companies are not all the same. The research team at Future Money Trends has been diligently searching for the best way to take advantage of the coming boom in the silver market; we want nothing less than the number-one silver company, the absolute purest primary silver producer in the entire world. What we’ve found is a company that is easily one of the lowest-cost silver producers in existence, and it is led my Mister Silver himself, President and CEO Keith Neumeyer. Of course I’m referring to the great First Majestic Silver (NYSE:AG, TSX:FR, FRANKFURT:FMV), an absolute must-have for any silver stock portfolio in today’s market. When Mr. Neumeyer founded First Majestic Silver in 2002, he built a powerhouse mining firm that stands today as the best-in-class among metals-and-miners contenders. Silver production from these seven mines is projected to be between 12.0 and 13.2 million ounces, or 20.5 to 22.6 million silver equivalent ounces in 2018, with projected production of 27 to 30 million silver equivalent ounces in 2019. While First Majestic is aggressively pursuing the development of its existing mineral property assets, the company is continuing to explore options in other mineral-rich regions, like the Plomosas Silver Project and the Ermitano West Project at Santa Elena. The company has embarked on its largest exploration drill program to date, consisting of ~203,000 meters of drilling, with as many as 29 drill rigs on site at various locations. The news just gets better and better for First Majestic, which recently announced that their total production in the second quarter of 2018 from its seven operating silver mines reached a new company record of 5.1 million equivalent ounces of silver, an increase of 32% quarter over quarter. The mounting evidence makes it crystal clear why major institutions like Vanguard, Van Eck, and even the Swiss National Bank have taken large positions in First Majestic. Silver bulls will need a company that’s ready to ride the coming wave of precious-metal profits, and there’s no better company than First Majestic Silver. My research team is expecting the remainder of 2018 to look even better than 2016, when First Majestic went up 7x more than the price of physical silver itself. I’ve taken my position and am preparing for an avalanche of profits when silver shines and First Majestic breaks out in a big way. This silver price move is happening now. Stay up to date and receive important research from us weekly. Consider a long position in First Majestic Silver today – you’ll be investing alongside the world’s biggest investors and top analysts. You’ll also want to go to the company’s website to make sure you’re alerted to any breaking news directly from the company. 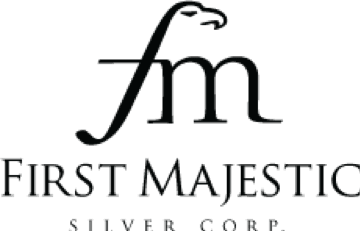 And, of course, make sure you’re subscribed to FutureMoneyTrends.com to get the latest updates on amazing opportunities like First Majestic Silver Corp.
Stay up to date on First Majestic Silver and become an insider in the silver sector!